Circulation Desk | Check Out Materials and Find Items On Reserve! 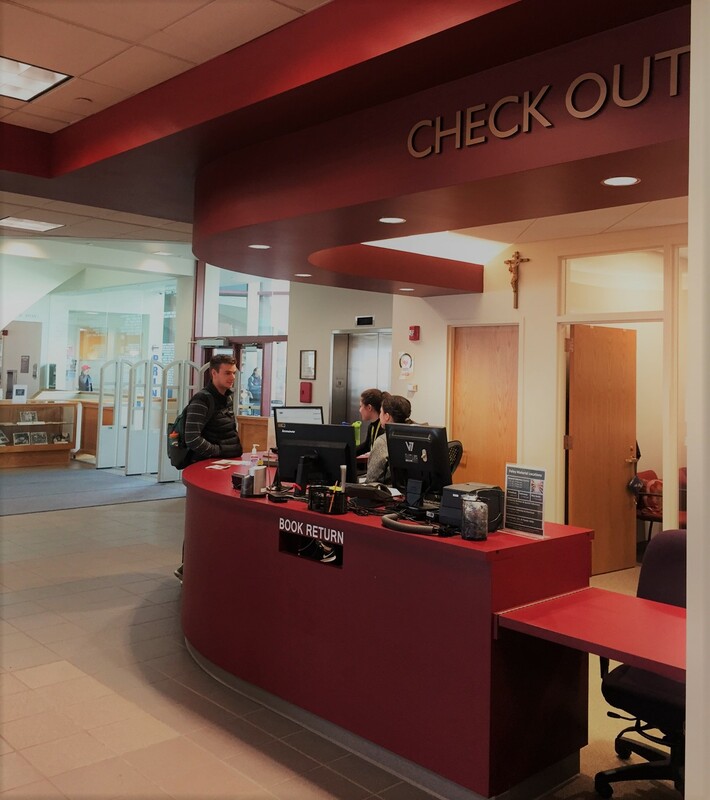 Library Staff and student employees provide many user services at the Circulation and Reserves Desk on the Main Floor of Foley Center Library. At this location, library users may check out books and other materials (see list on this page), check out items on reserve, pick up items on hold, and ask for assistance. The Circulation Desk is just to your left when entering the building and is staffed all hours that the library is open. For information about check out times and limits, see our Policies page. Lockers are located on the east side of the Main Floor and are available for rental by current members of the GU Community. Individuals wishing to check out a locker must sign the Locker Rental Agreement. The renter will be issued one key to the assigned locker. At the end of the term, the key must be returned or the locker renewed for another term. Failure to return the key will result in a twenty-dollar charge on your library account to cover the replacement cost of the key and the locker will be emptied of its contents. Ask about Locker Rentals at the Foley Library Circulation Desk.